did you really know what live was? Heck yea. This is Awesome. School meals have changed! They are balanced, healthy, and meet federal nutrition guidelines. Research has shown that students who eat school meals perform their best academically. They have better gains in standardized test scores and show improvements in math and reading. School meals are safe! School nutrition professionals have rigorous training in food safety. Our kitchens are subject to two health inspections annually conducted by the local health department and considered the safest of commercial and institutional food service establishments. The School Board of Marion County Food and Nutrition Service Department is committed to the nutrition and education of our students. Our mission is to provide nutritious meals that help boost student performance in the classroom. Parents and school nutrition professionals share the same vision to create healthy eating habits for life! MARION COUNTY SCHOOLS has a new option under the National School Lunch and School Breakfast Programs called the Community Eligibility Option (CEO) started School Year 2013-2014. All Elementary Schools, including Ft McCoy K-8 will provide healthy breakfasts and lunches each day at no charge for ALL students enrolled during the 2014-2015 School Year. This is a paperless alternative to free and reduced applications for Elementary students. Contact the Food Service District Office for additional information (352)671-4190. 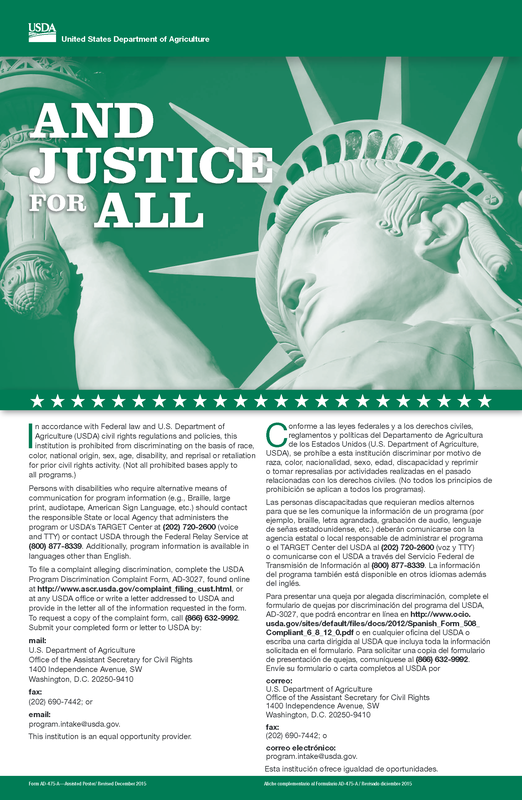 To file a program discrimination complaint, complete the USDA Program Discrimination Complaint Form, AD-3027, found online at How to File a Program Discrimination Complaint and at any USDA office or write a letter addressed to USDA and provide in the letter all of the information requested in the form.